eFLEXS field service management software targets small or midsize service organizations with a broad service suite of planning requirements that rely on scheduling, where it’s important to simulate short, medium and long-term schedules or react quickly to changes. Organizations whose technicians perform a high volume of work orders per day, or face volatility in schedules and emergency requests due to cancellations or unplanned work, tend to benefit most from the schedule of works. 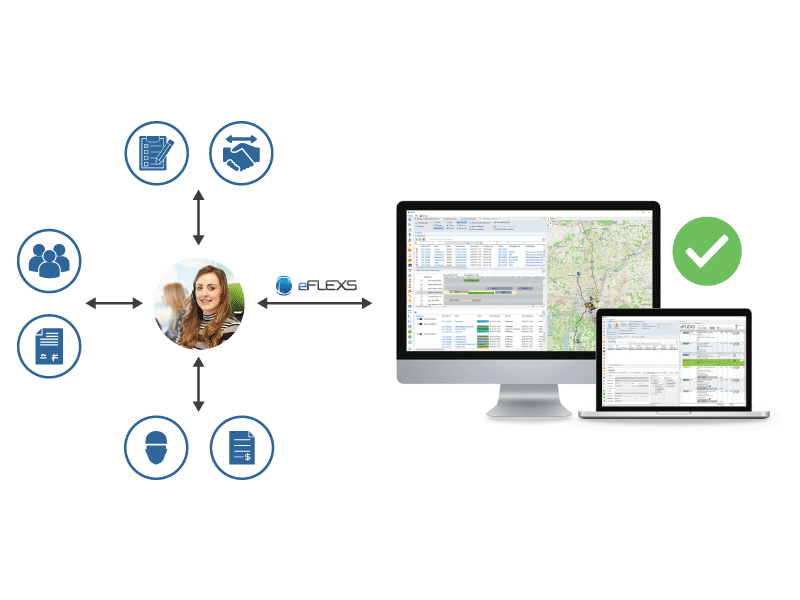 The capabilities of our advanced field service software, therefore, include the automation and schedule optimization for service orders and deployments. 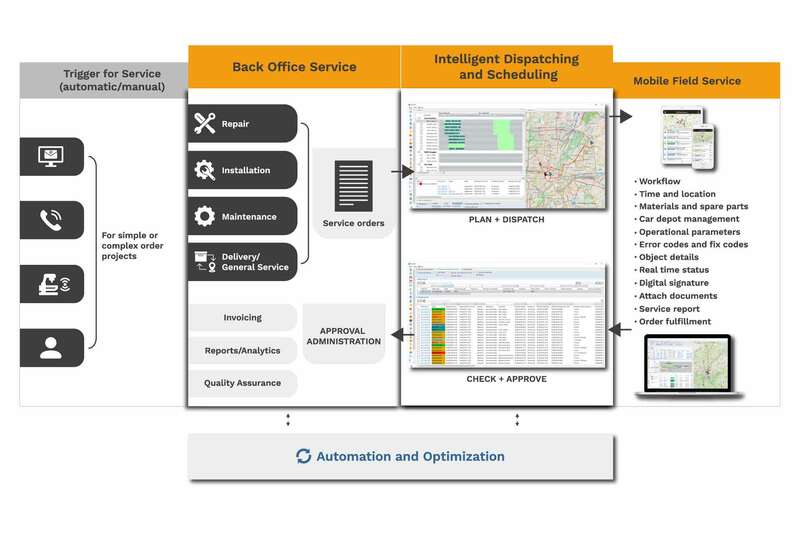 By using the Field service dispatch software, dispatchers can diagnose and prepare as much as possible – schedule service, parts, tools – before sending technicians to customer locations to provide maintenance, repair or installation services for customer-owned equipment by considering a multi-factor work order prioritization depending on: customer’s urgency, customers’ preferred technician, SLA commitments that guarantee an arrival window, maintenance coverage, and regulatory requirements – all these “conditions” impact the tasks that the technician will perform. 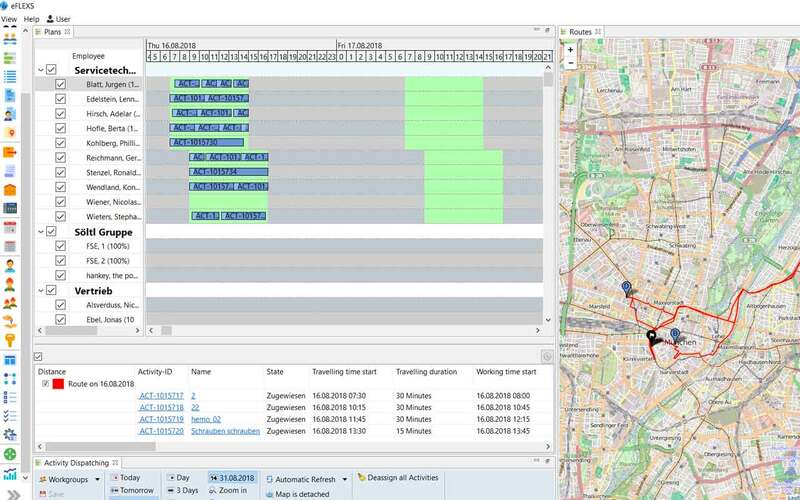 With the drag-and-drop interface used for scheduling, the dispatcher can plan low, medium and complex or high-volume service activities and manage additional operations that can come from multiple disparate channels including customers, their assets or equipment that they are monitoring and even from technicians. eFLEXS schedule software supports dispatchers and improves their work by providing a visual and intuitive interface for them to do the schedule of all service activities in different ways: fully manual, semi-automatic or even totally automatic, in an integrated fashion. 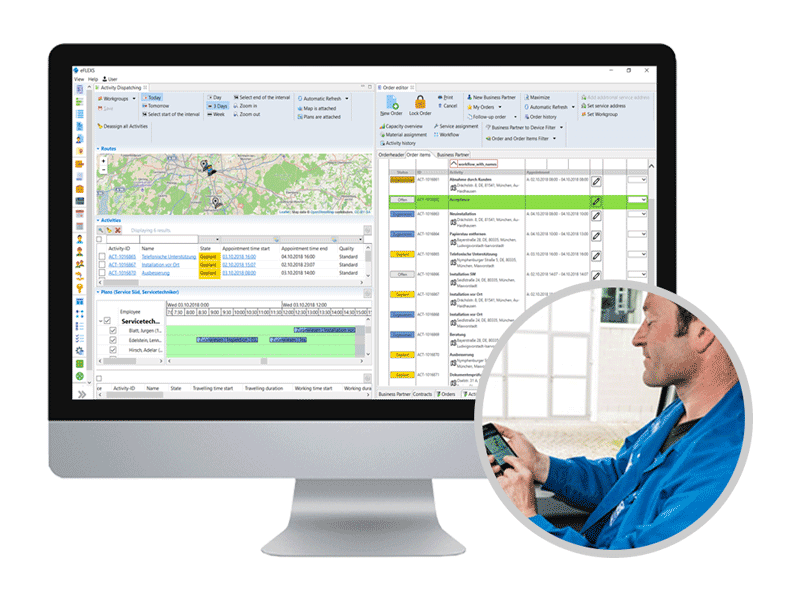 Our field service scheduling software allows you to still keep the traditional approach but offers you a way into smart digitalization. With the use of automation (modules), the scheduling of orders increases up-time and the speed of services. Thus, dispatchers can focus on managing additional operations, supporting better technicians and providing faster customer service. The workforce scheduling and distribution of activities in different zones allow the service center dispatcher to decide whether they can assign to service technicians or to a group of technicians more activities. And all of that besides the already planned ones which are displayed with a planned status and mapped to a certain location on the map. The already planned work orders can nevertheless be anytime, changed. eFLEXS helps improve customer satisfaction with workforce scheduling and route planning and by decreasing the “windshield time” (the time the technician is traveling between work locations). Forecasting based on work demand, helps customer reduce cost per work orders where the technician has the appropriate parts, skills and tools to complete work on the first visit. For organizations that have dispatchers who handle high work order volumes, manage requests, multiresource scheduling and complex service that need to be processed very quickly, scheduling manually service orders is not anymore the best solution. With a digital activity dashboard, dispatchers can have a full overview of the orders and activities’ statuses at some point (planned, unplanned, in work, completed) and manage them directly from there either manual or semi-automated. 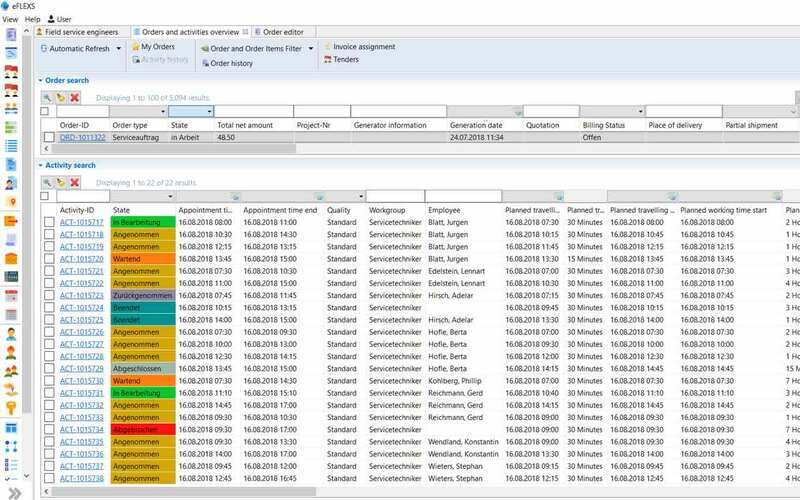 Our field service scheduling software allows you to still keep the traditional approach but offers you a way into smart digitalization. With the use of automation (modules), the scheduling of orders increases up-time and the speed of services. Thus, dispatchers can focus on managing additional operations, supporting better technicians and providing faster customer service. Our field service scheduling software can easily integrate with the tools you already use and act as provider or consumer of master data, therefore allowing processing of already existing data or the creation and maintaining of data. Our solution can be seamlessly integrated to multiple ERP providers, CRMs, Databases or DMSs and it is easy-to-implement with any system. eFLEXS field service scheduling software offers many supporting functions – such as customer service, invoicing, reporting, project management – that typically require other application licenses. You can utilize eFLEXS for basic and static field service requirements, integrated with your existing ERP and CRM systems or together with the modules of optimization and/or automation which address to more advanced, dynamic and automated scheduling. With a smart and advanced scheduling software that is future-proof thanks to open eStandards, we can help you achieve deep scheduling optimization. 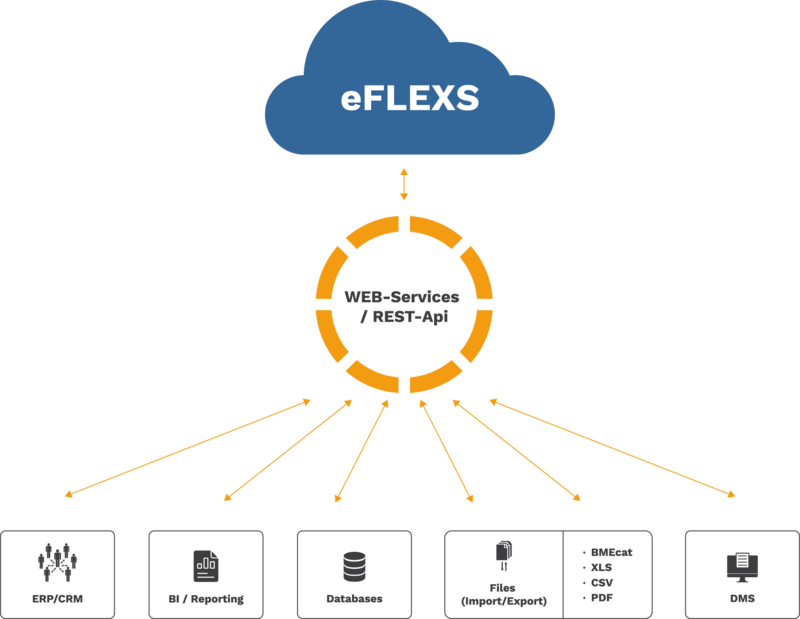 Due to the flexible and extensible capabilities, eFLEXS scheduling software is integrated with a robust mobile field service app build for technicians. The field service scheduling app allows technicians to have a real-time overview to all planned service order activities which are assigned to them by technicians on a daily, weekly or monthly basis. The dispatcher always supports the technicians on the field by offering them real-time updates (in cases when planned schedules change dramatically throughout the day, due to emergency or other unplanned work and customer cancellations) and remote support. If motivated, technicians can also add value in their work on the field, as remote triage agents in the cases when they can prevent unnecessary on-site visits (and communicate them further) which can reduce the costs for customers. Within the field service scheduling app, technicians have control over the order management tasks as they can edit the different type of data associated with orders, parts, tools, equipment, customers’ address. This data is instantly transmitted into the networked system each time it’s modified or cached offline and later synchronized in the system (in cases without network connection or signal). The data transmitted consists of: alert notifications, tasks completed, parts used, mission-critical equipment updates, field service reports generated online, e-mail digital signature. It’s all a matter of workflows which can work perfectly well in the mobile app as well. As customers’ complex needs evolve and market dynamics change, service should become more efficient, employees less stressful (more happy) and customers more satisfied. With over 20 years of experience in software development for service management, we have created an advanced and flexible system for planning, dispatching, scheduling and execution in technical service, which can be easily combined with a customer-specific service concept. We develop training, integration support and good relationships with customers so that they can easily control their service processes and task planning once the configured system solution has been installed. a personalized demo is free.